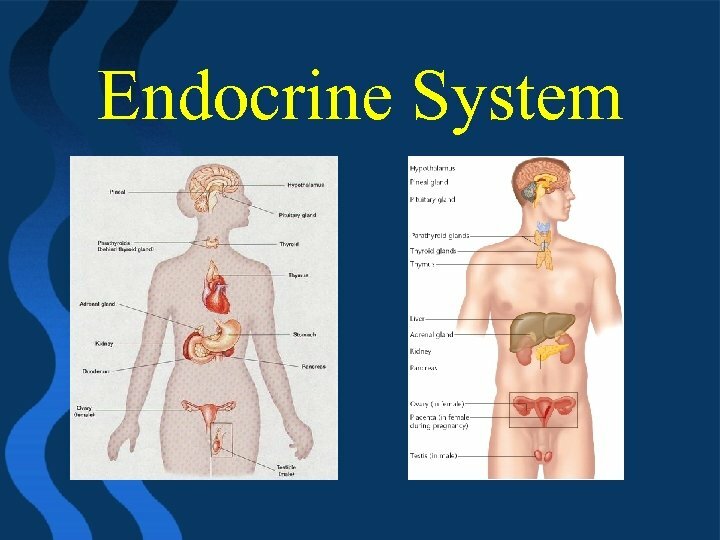 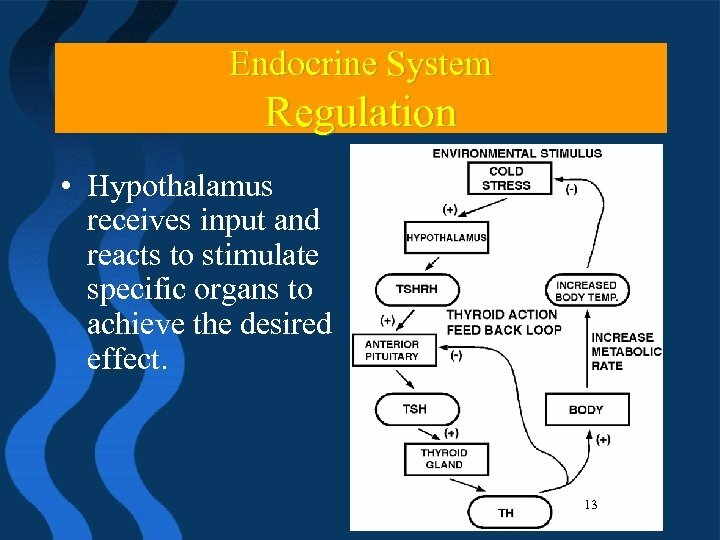 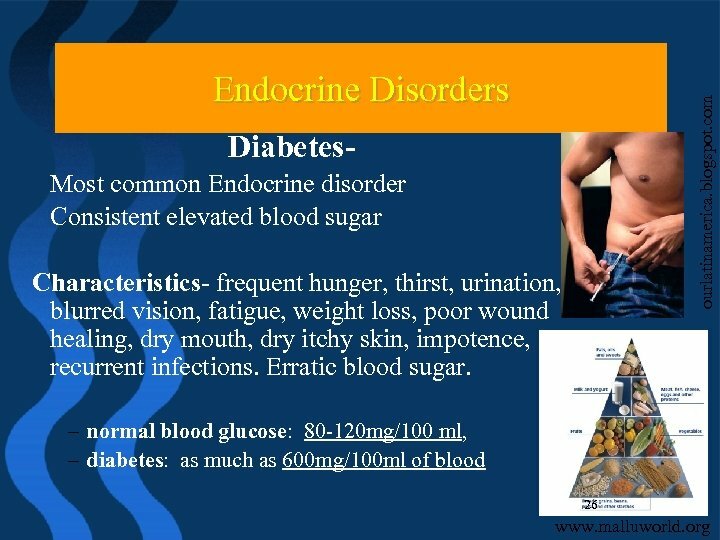 Endocrine System—General Info • Works WITH the Nervous system • Main function is to produce hormones— chemical messenger influencing other tissues/organs. 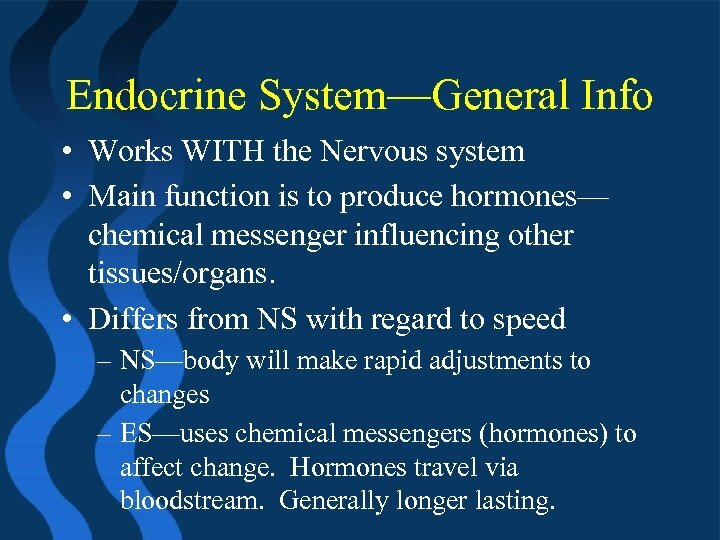 • Differs from NS with regard to speed – NS—body will make rapid adjustments to changes – ES—uses chemical messengers (hormones) to affect change. 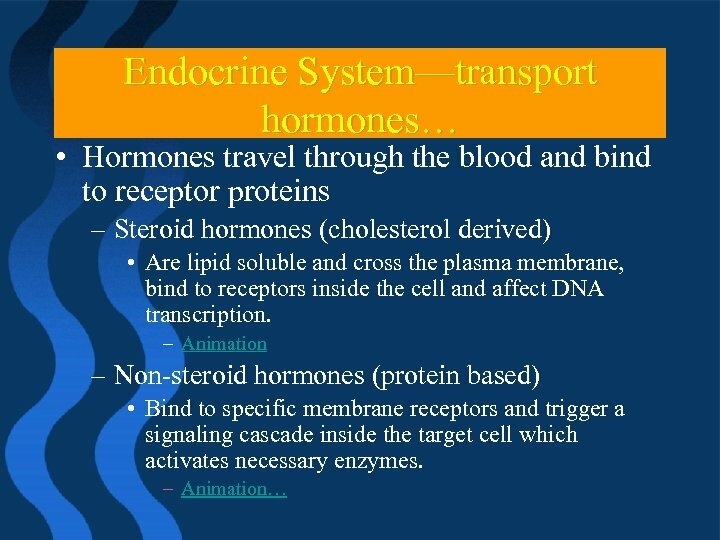 Hormones travel via bloodstream. 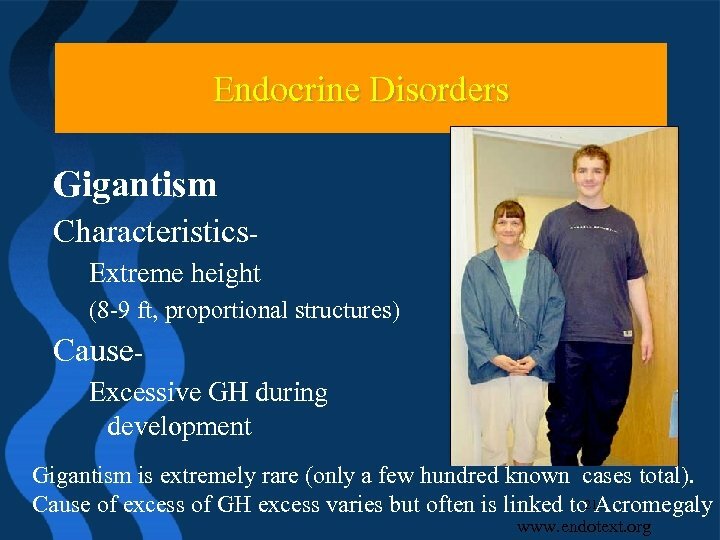 Generally longer lasting. 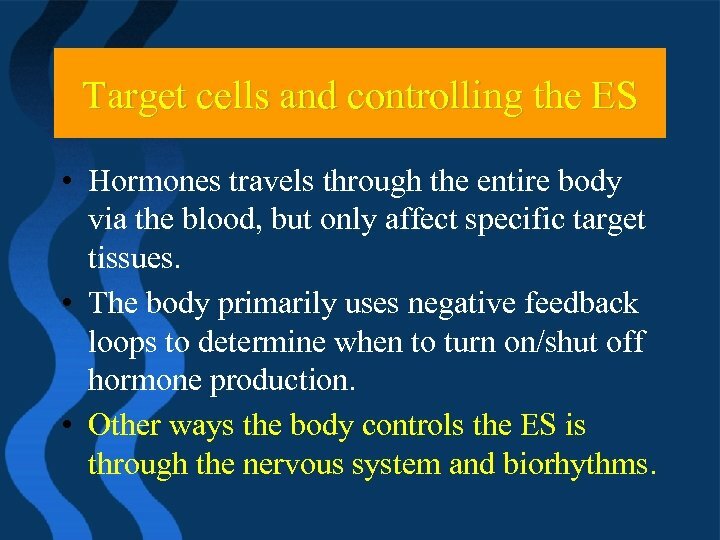 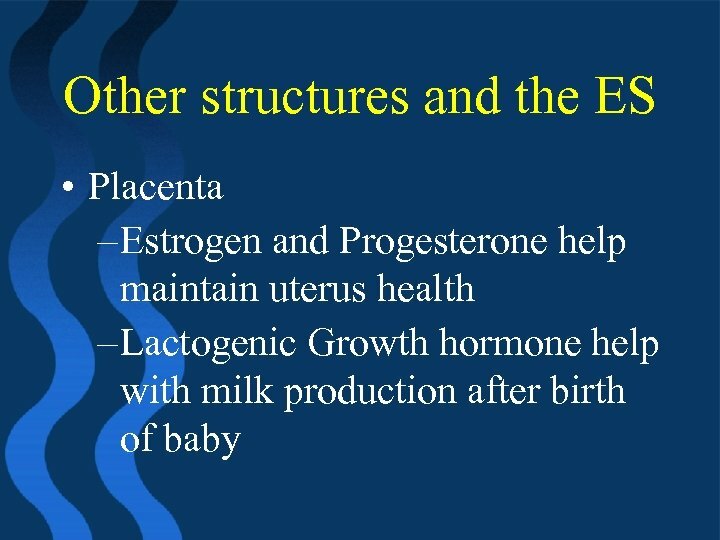 Target cells and controlling the ES • Hormones travels through the entire body via the blood, but only affect specific target tissues. 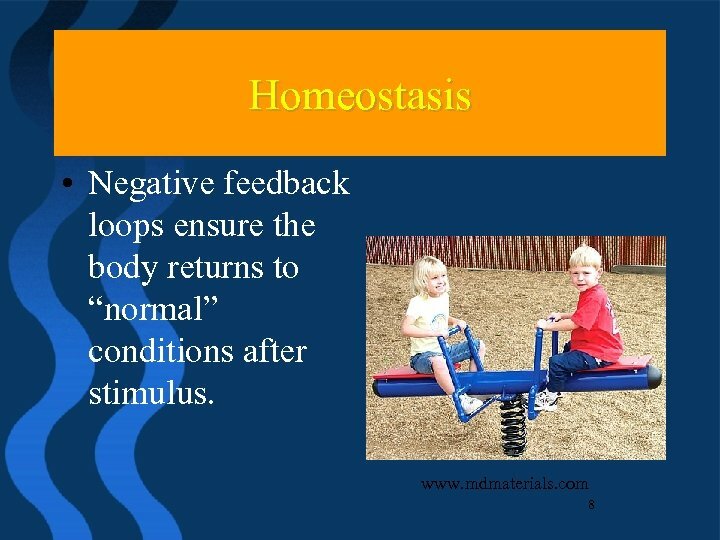 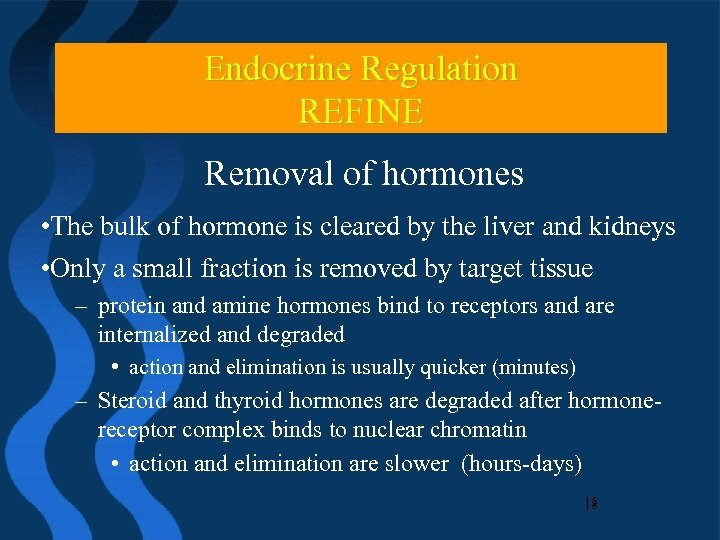 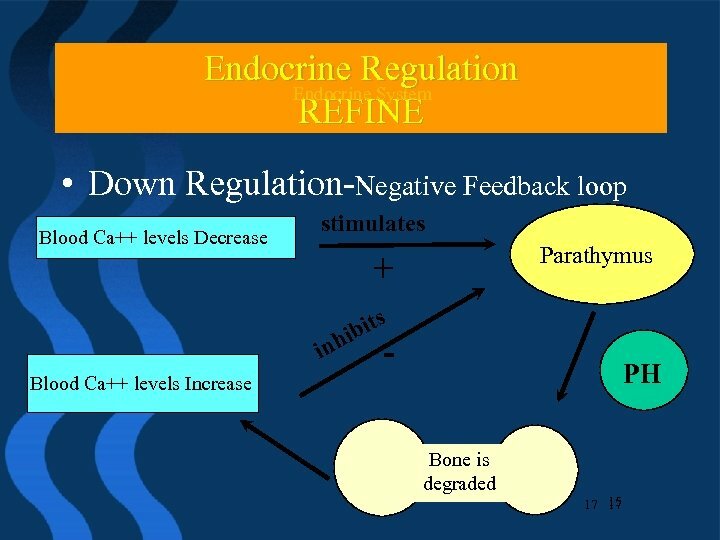 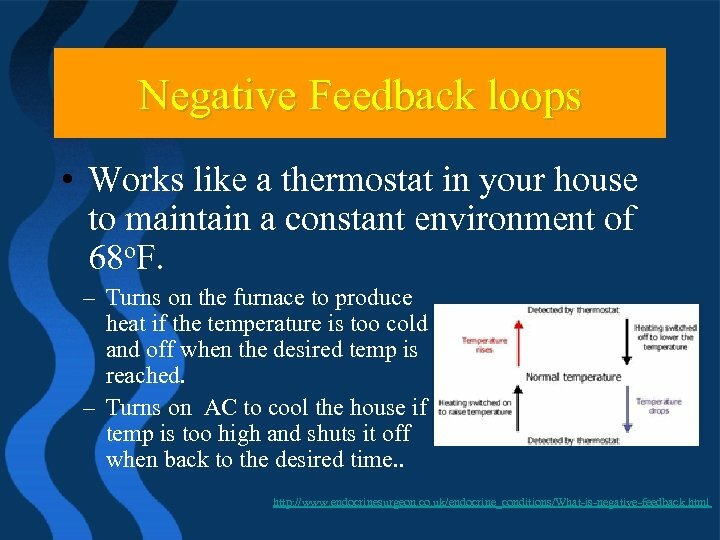 • The body primarily uses negative feedback loops to determine when to turn on/shut off hormone production. 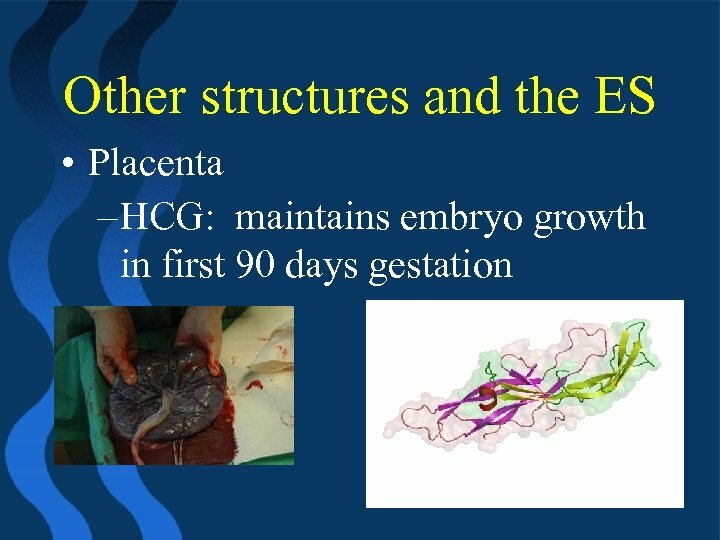 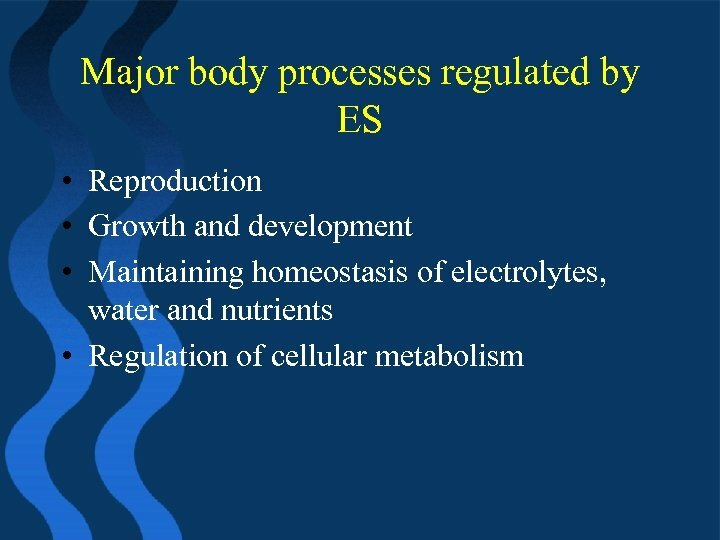 • Other ways the body controls the ES is through the nervous system and biorhythms. 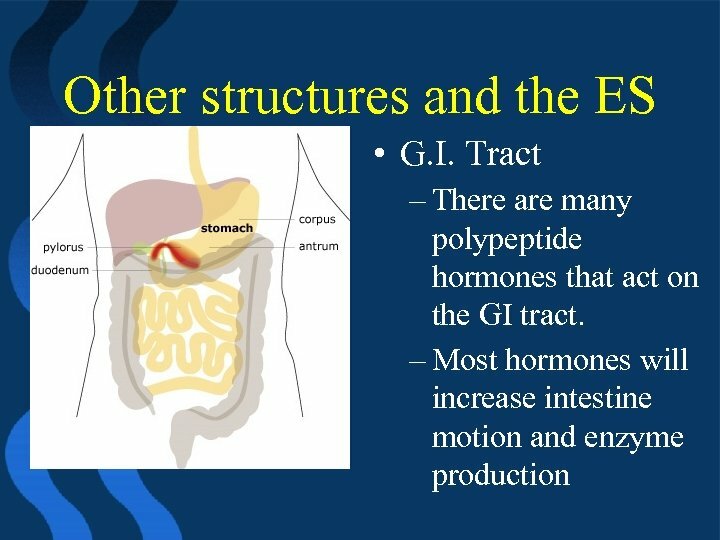 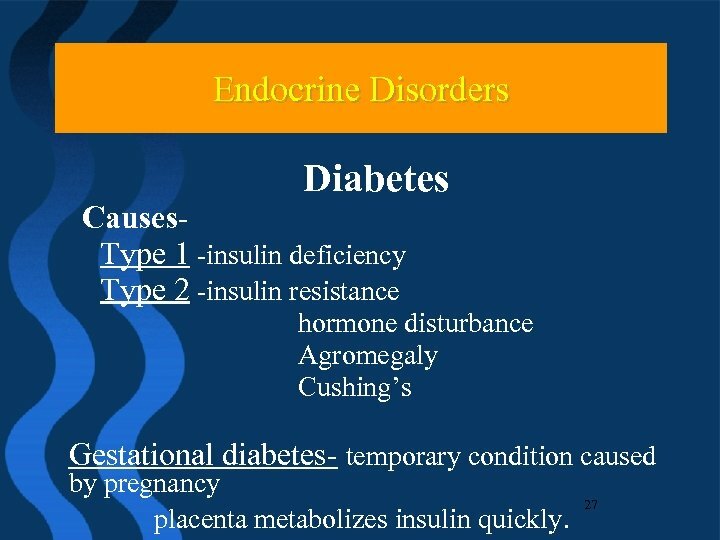 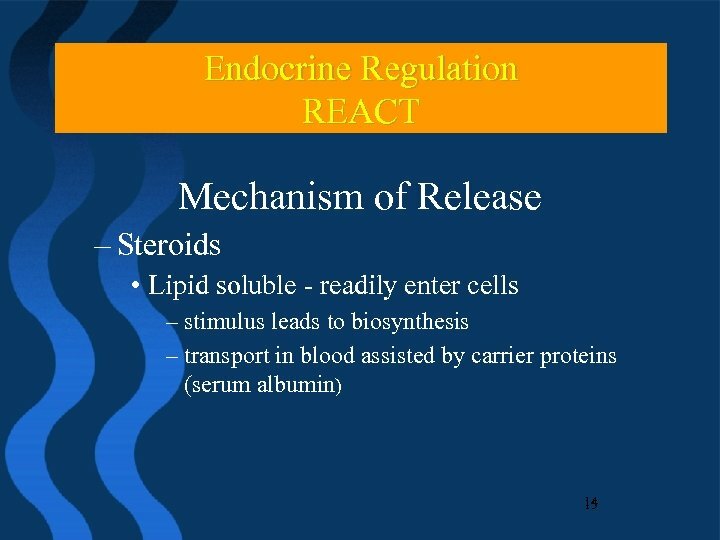 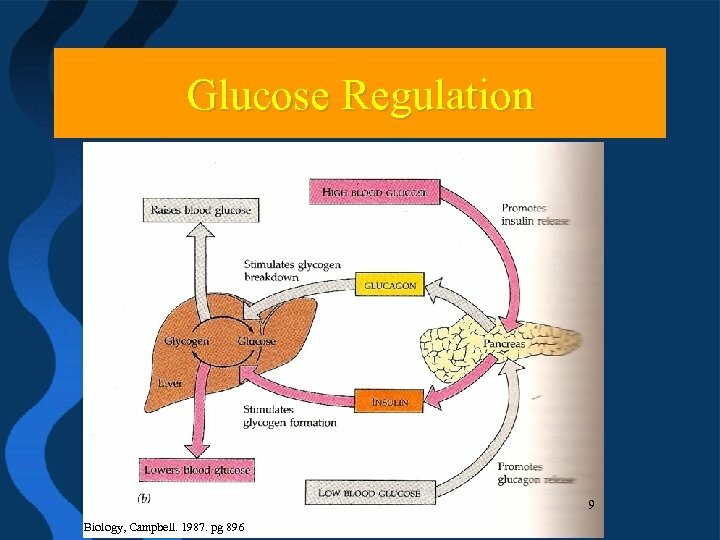 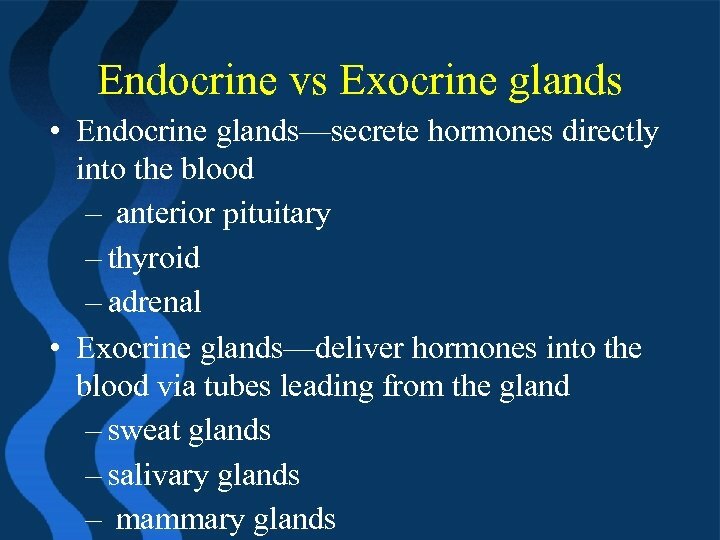 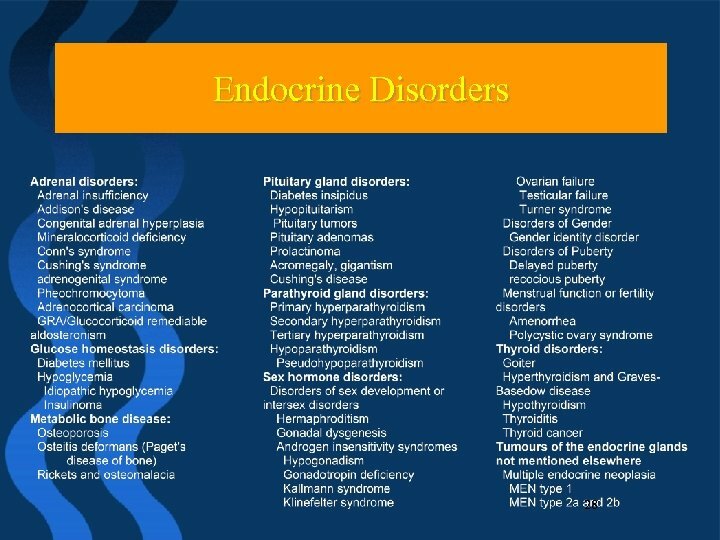 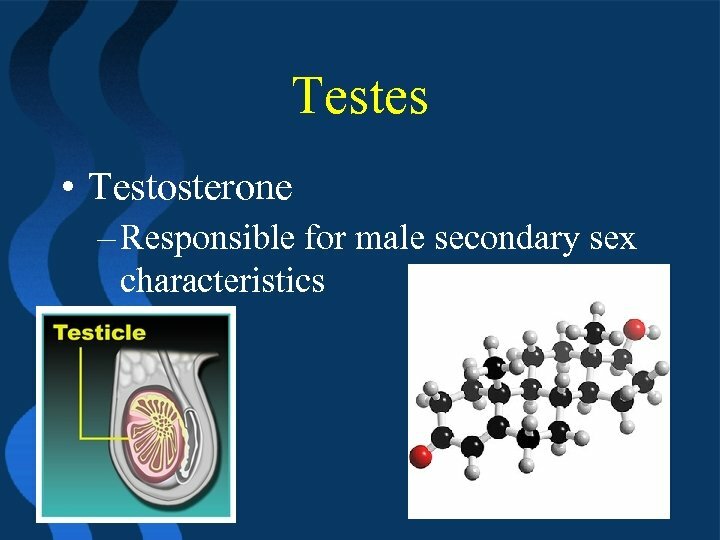 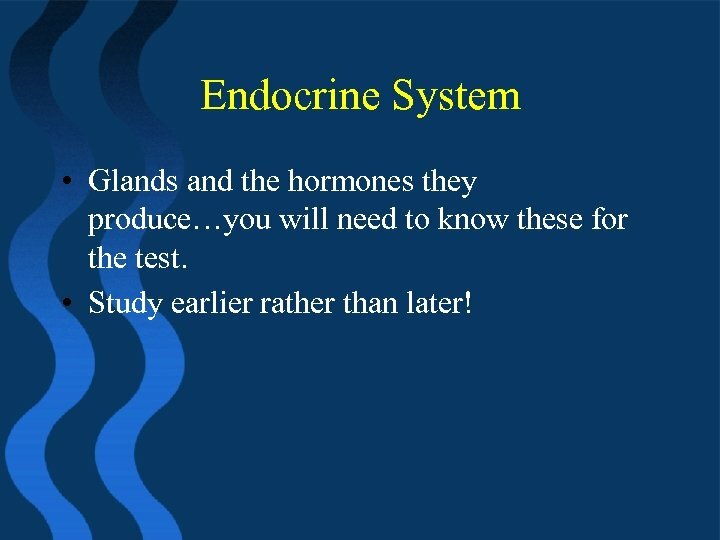 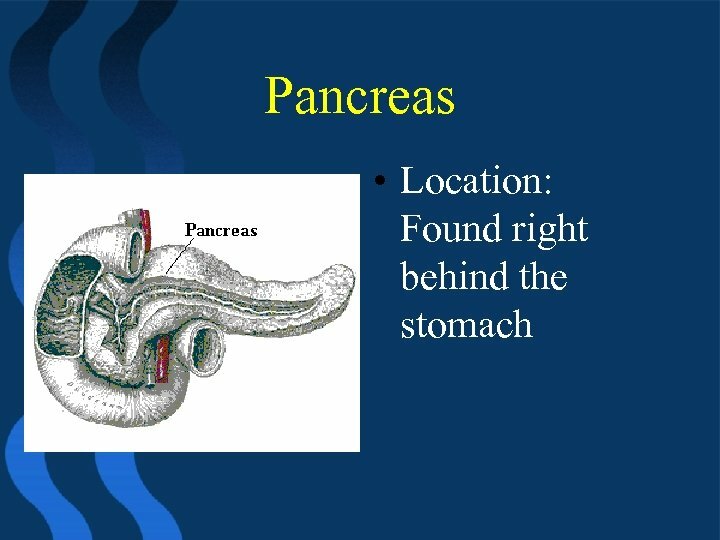 Endocrine System • Glands and the hormones they produce…you will need to know these for the test. 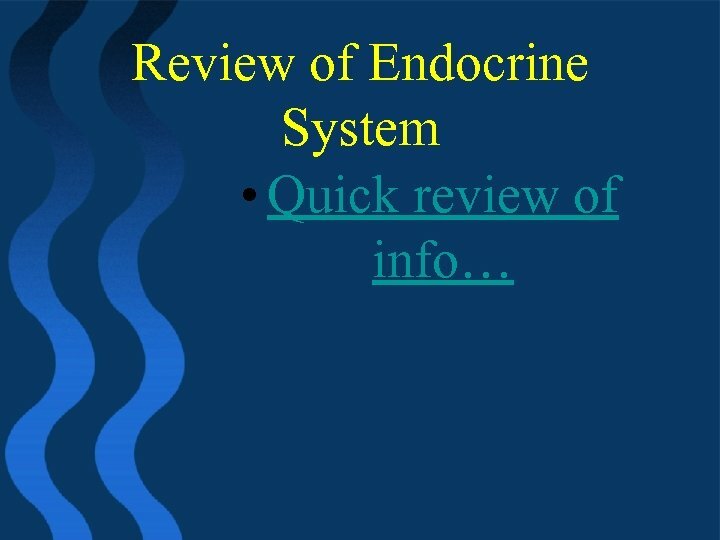 • Study earlier rather than later! 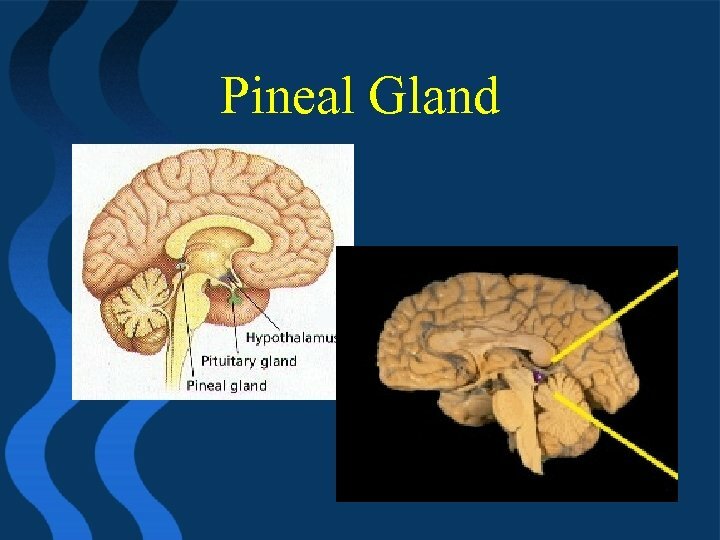 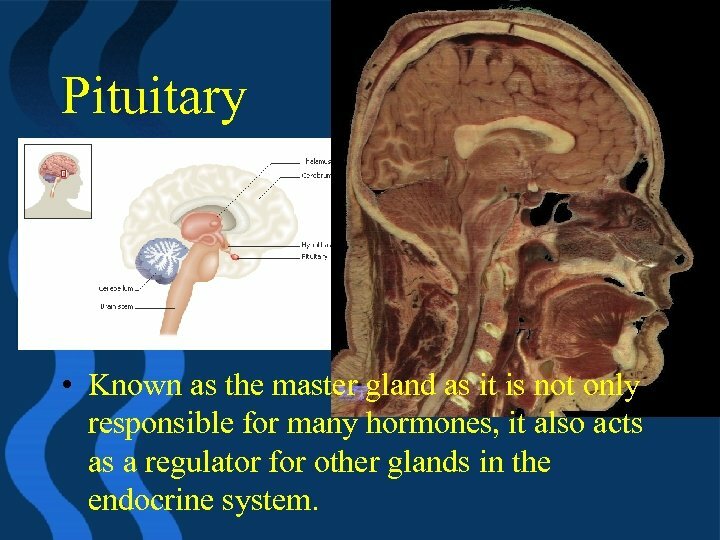 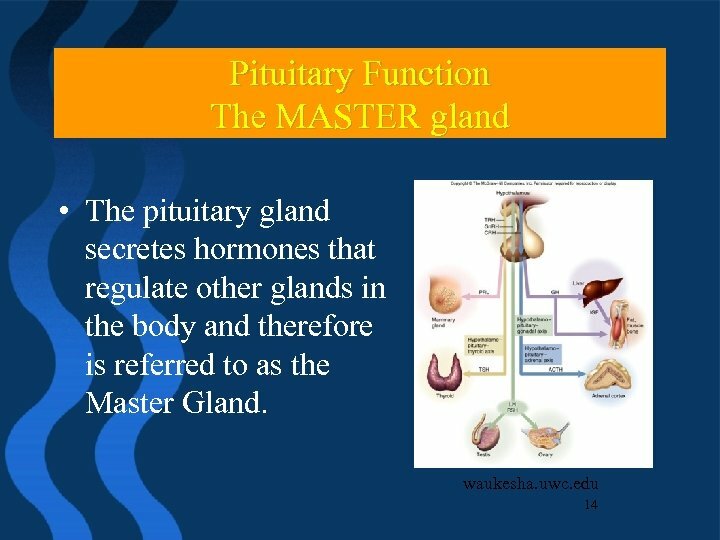 Pituitary • Known as the master gland as it is not only responsible for many hormones, it also acts as a regulator for other glands in the endocrine system. 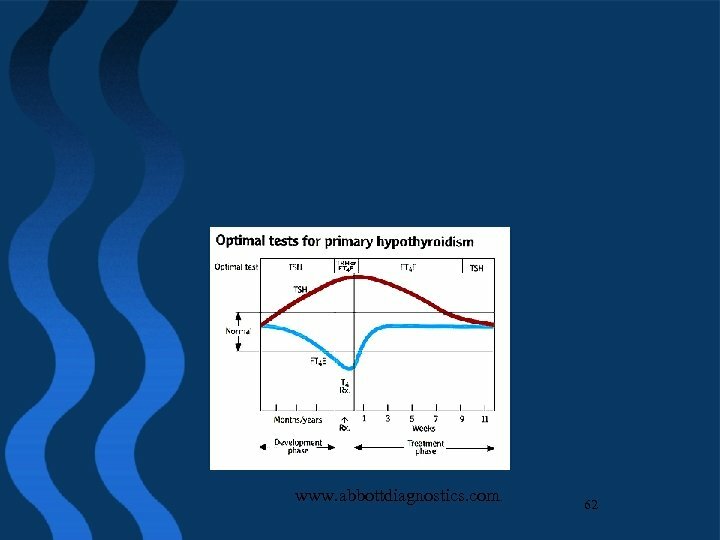 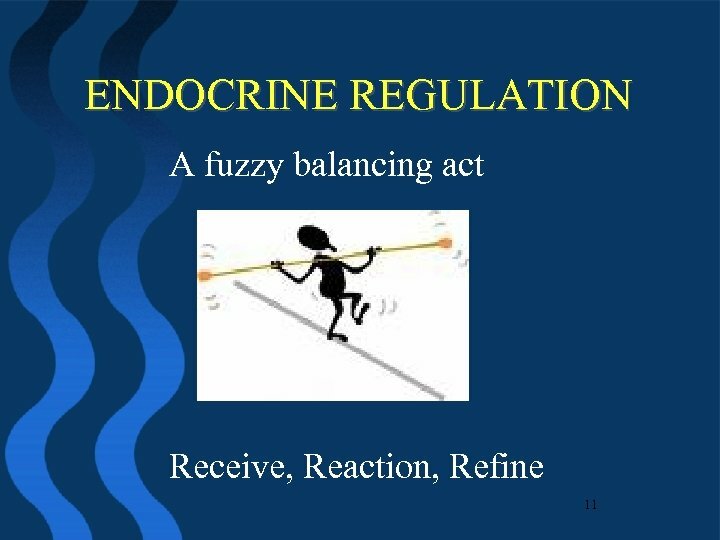 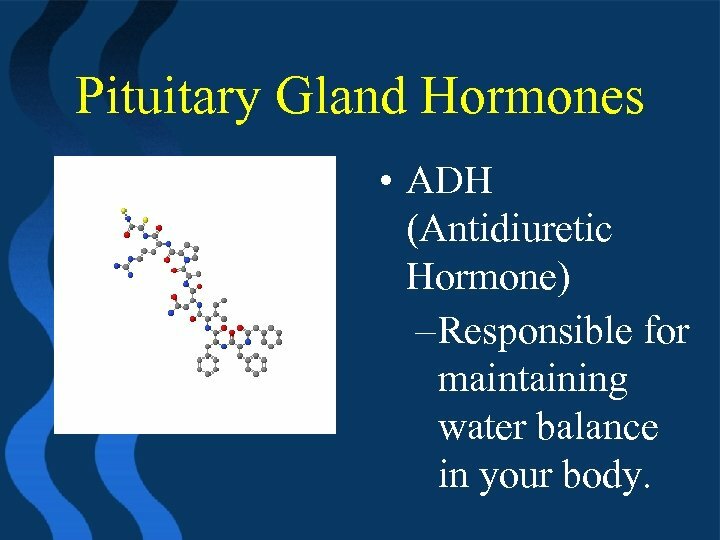 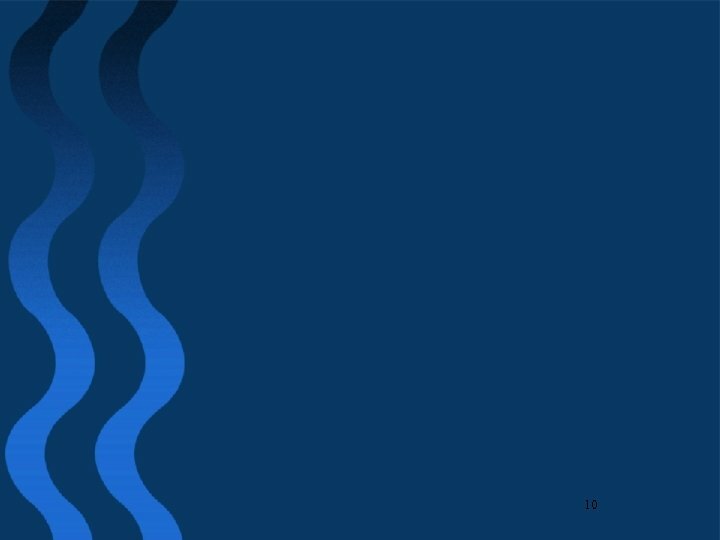 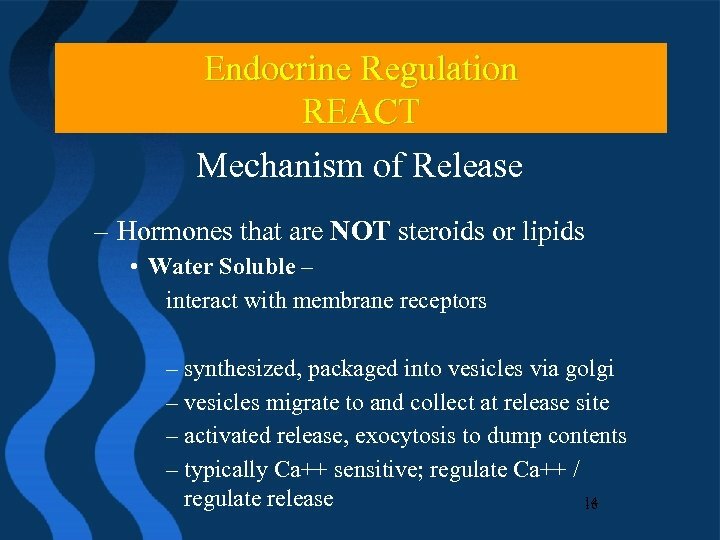 Pituitary Gland Hormones • ADH (Antidiuretic Hormone) – Responsible for maintaining water balance in your body. 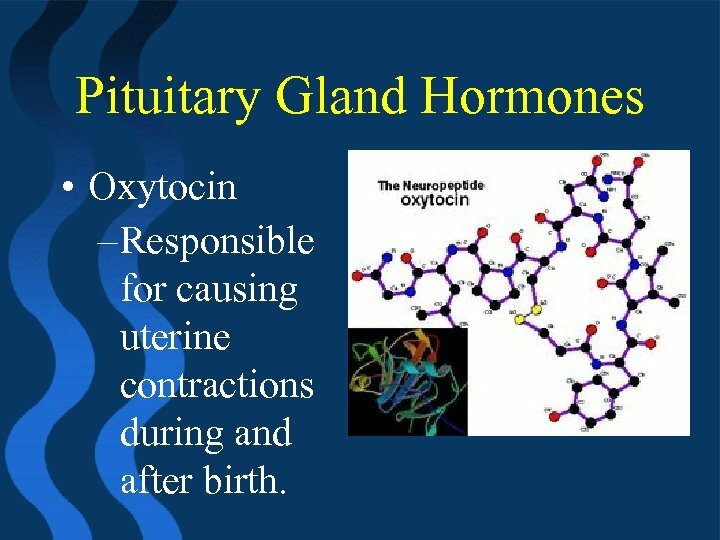 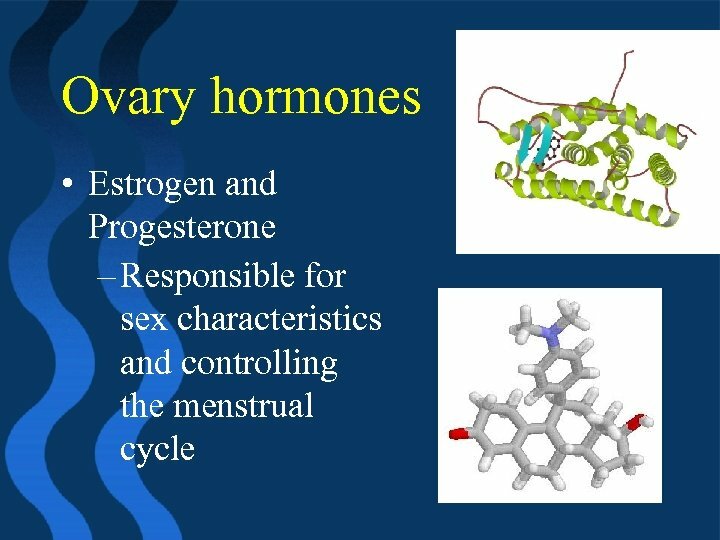 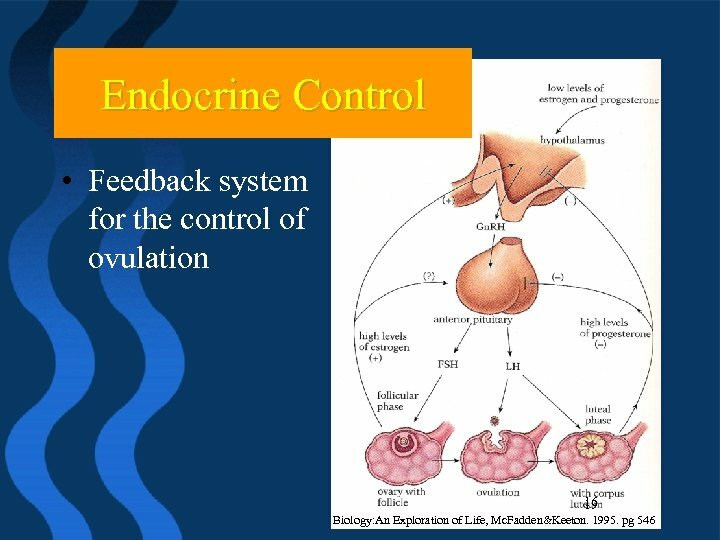 Pituitary Gland Hormones • Oxytocin – Responsible for causing uterine contractions during and after birth. 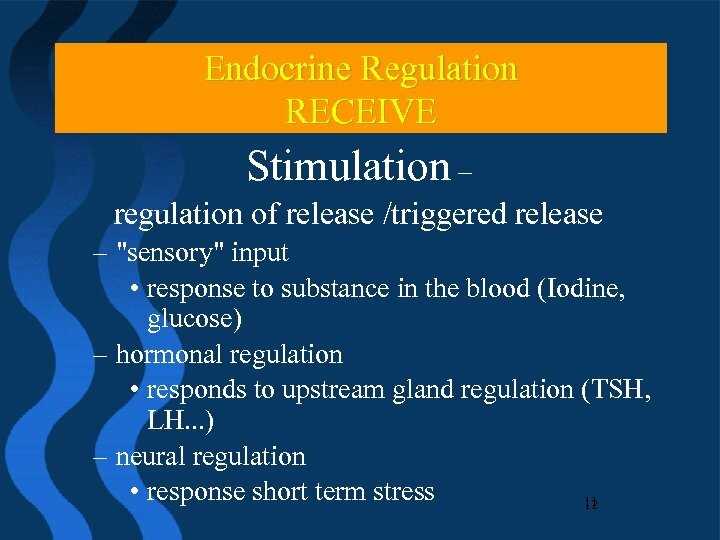 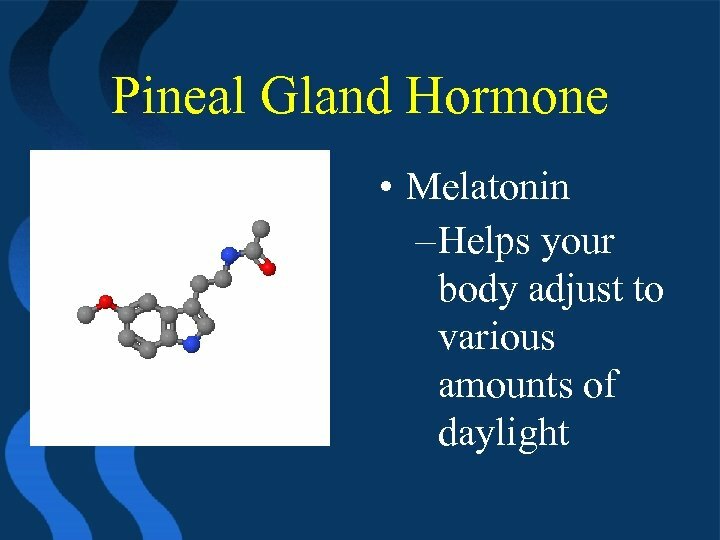 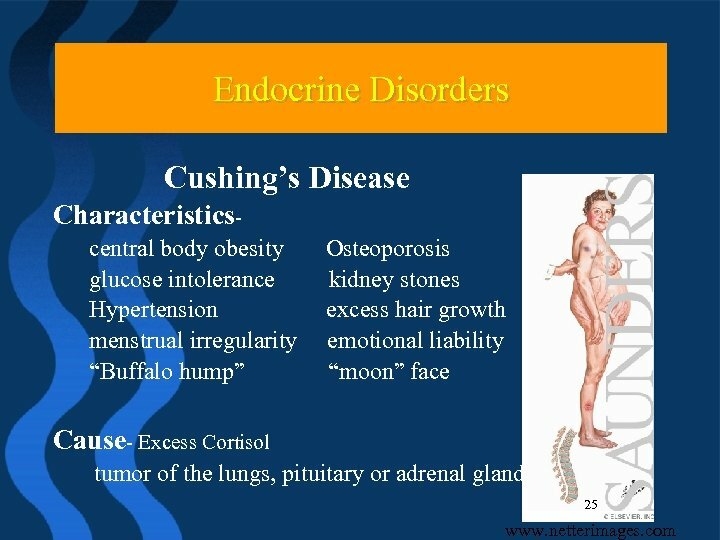 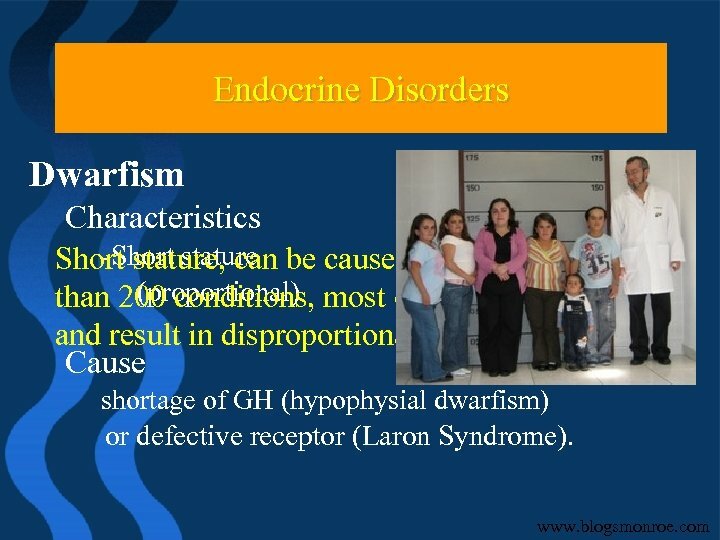 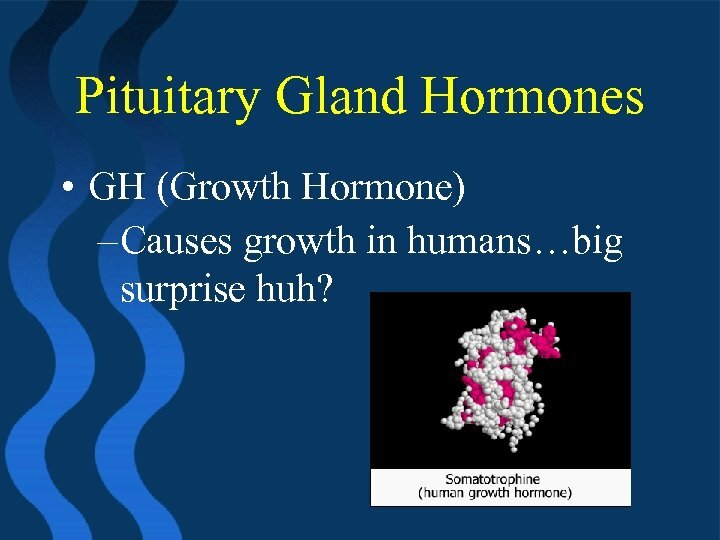 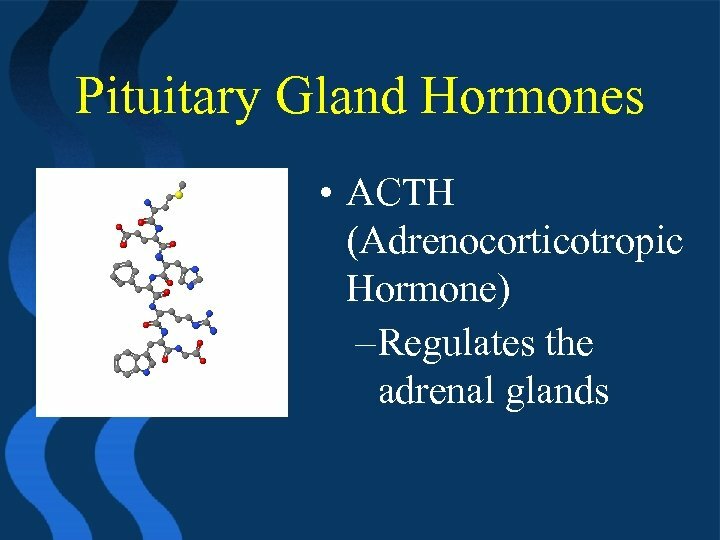 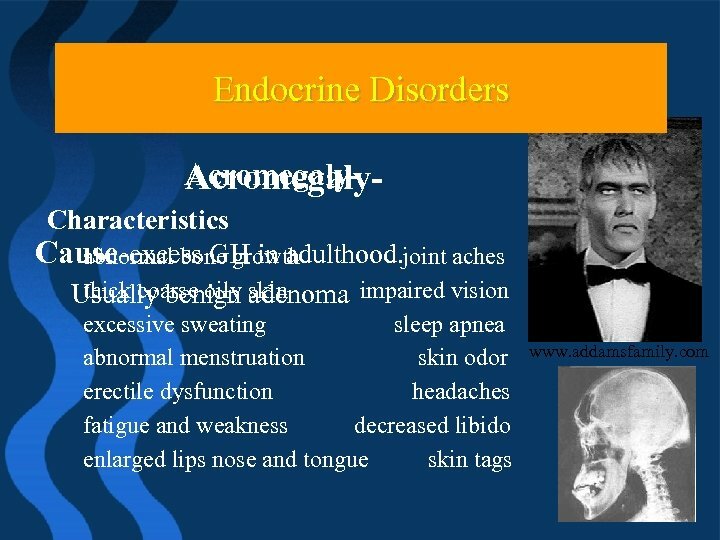 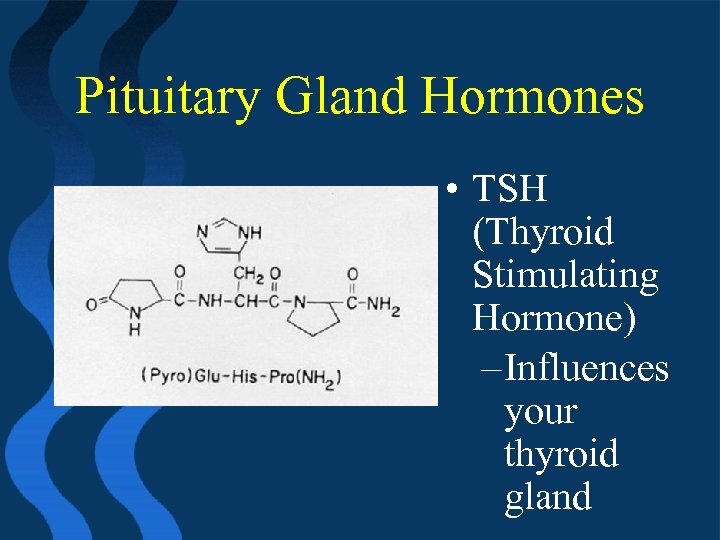 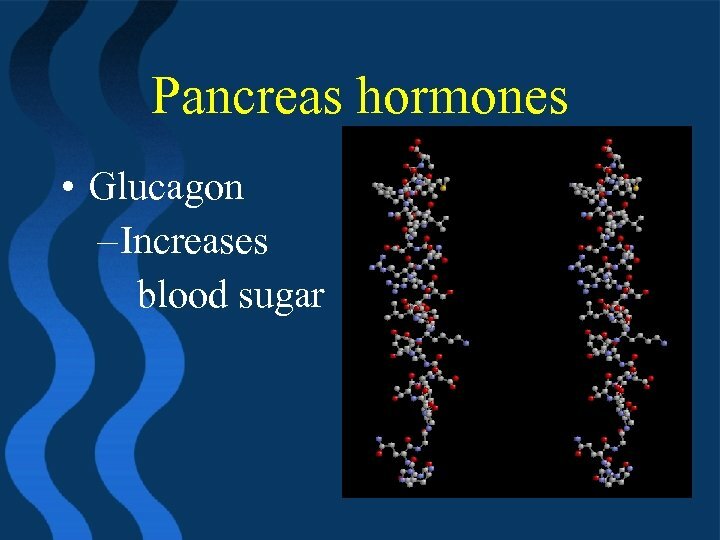 Pituitary Gland Hormones • GH (Growth Hormone) – Causes growth in humans…big surprise huh? 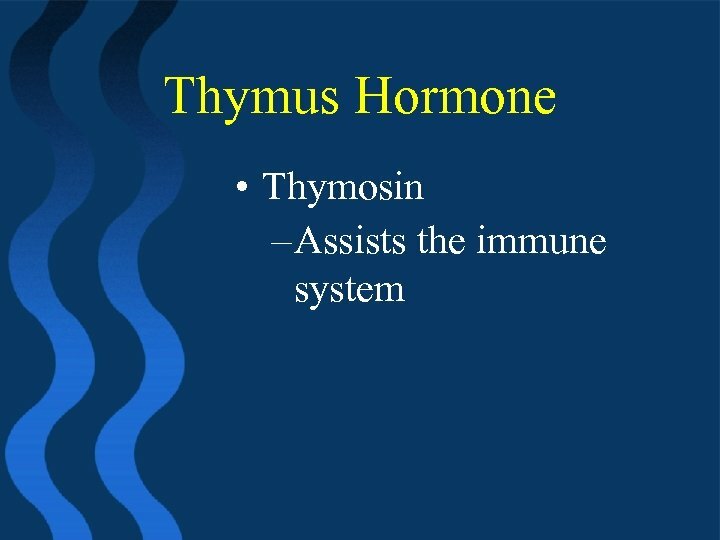 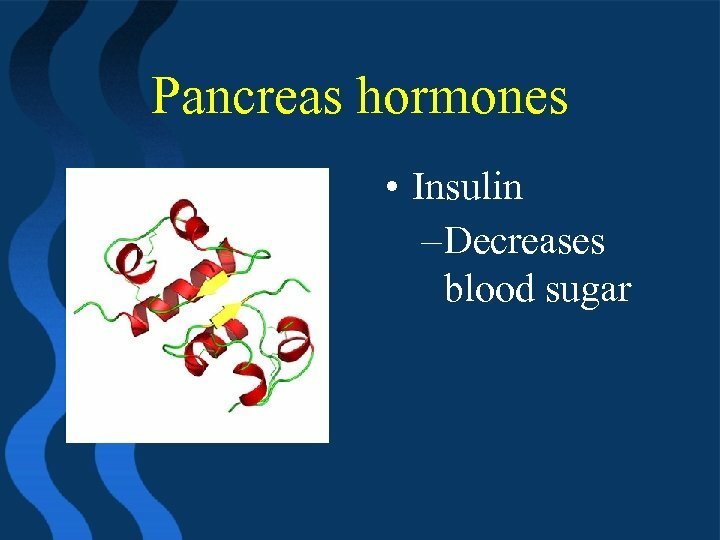 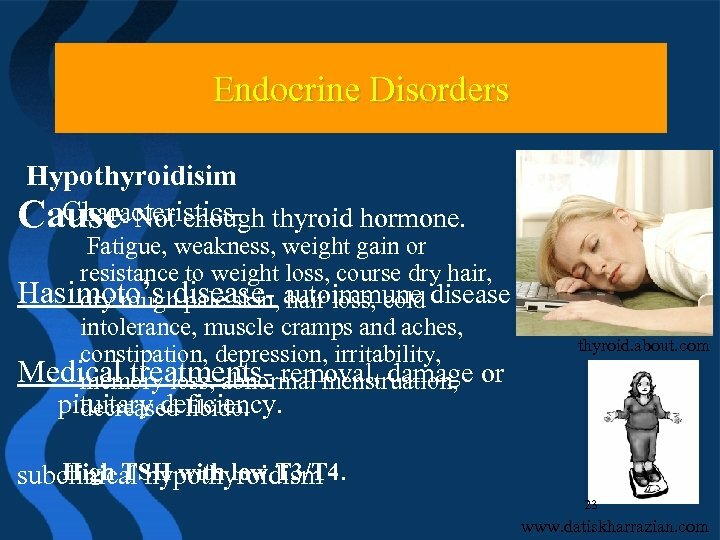 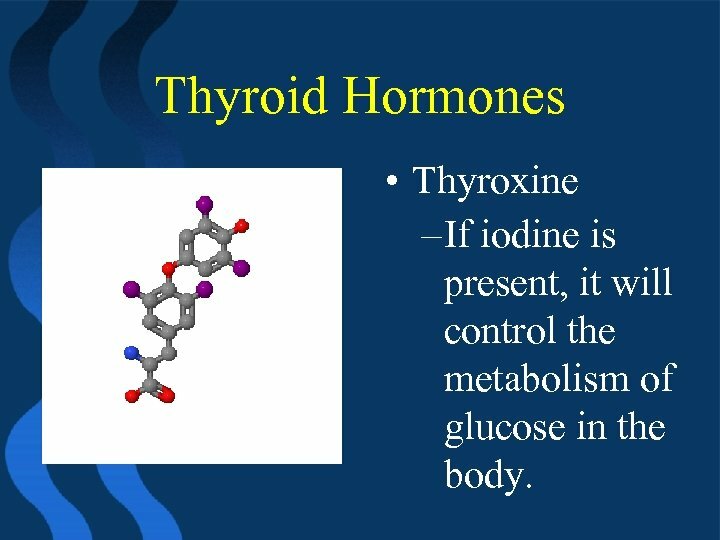 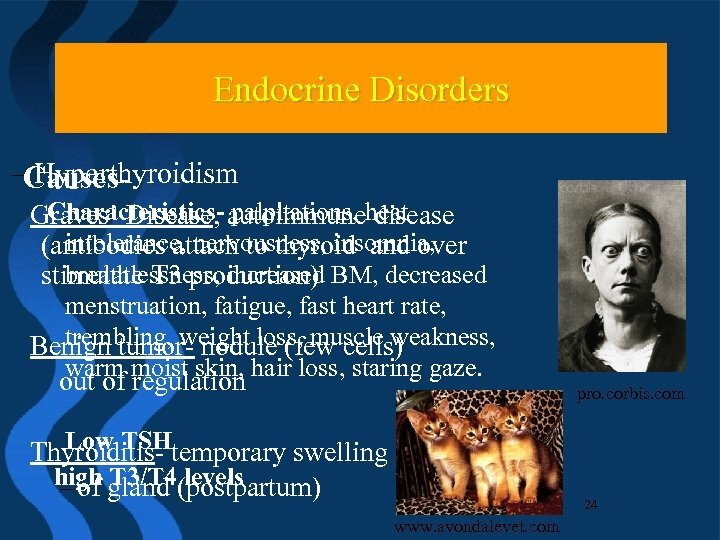 Thyroid Hormones • Thyroxine – If iodine is present, it will control the metabolism of glucose in the body. 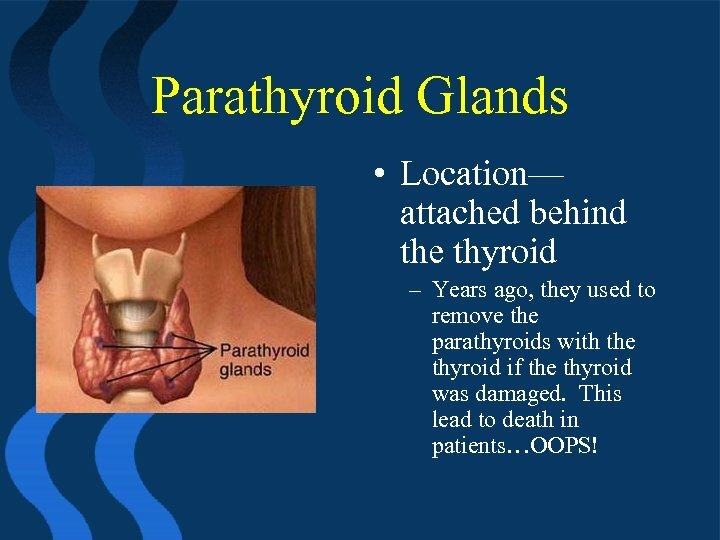 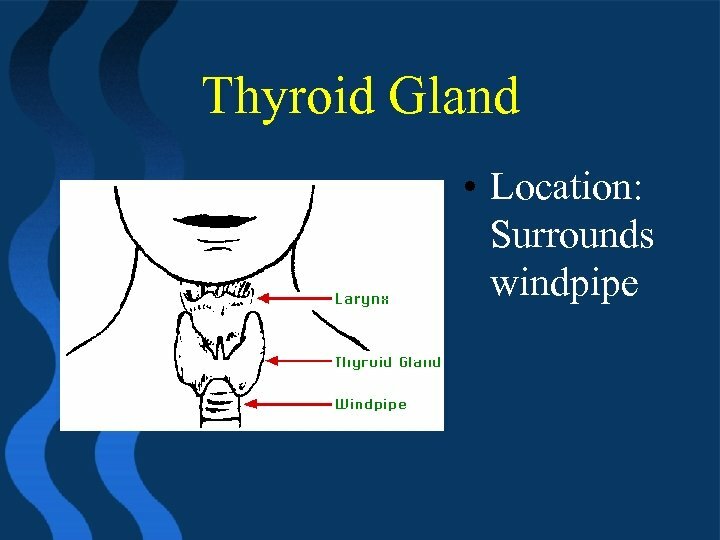 Parathyroid Glands • Location— attached behind the thyroid – Years ago, they used to remove the parathyroids with the thyroid if the thyroid was damaged. 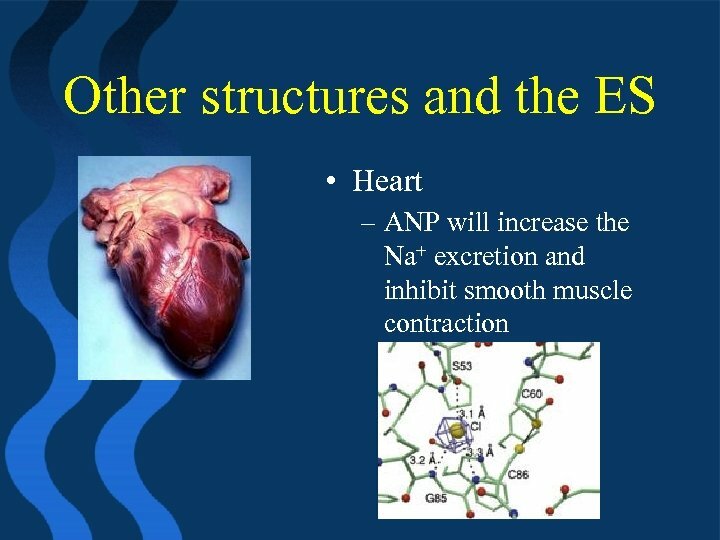 This lead to death in patients…OOPS! 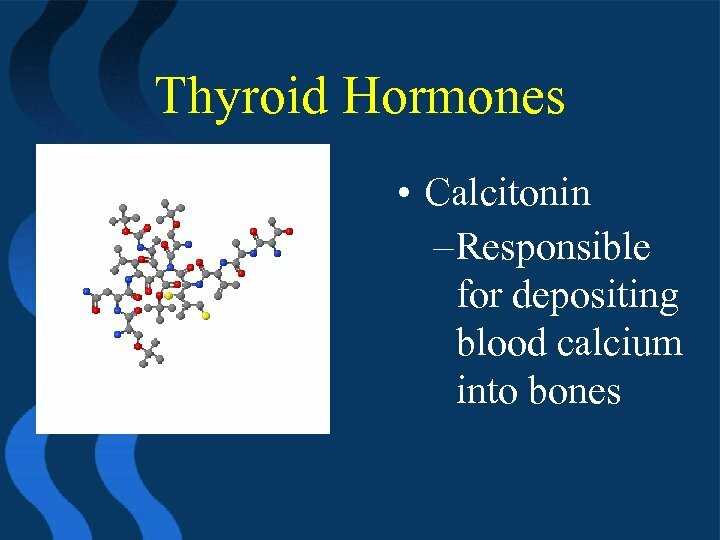 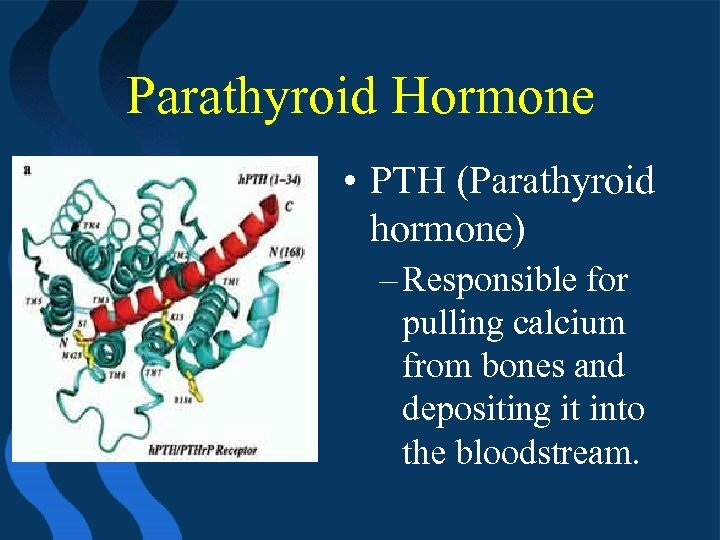 Parathyroid Hormone • PTH (Parathyroid hormone) – Responsible for pulling calcium from bones and depositing it into the bloodstream. 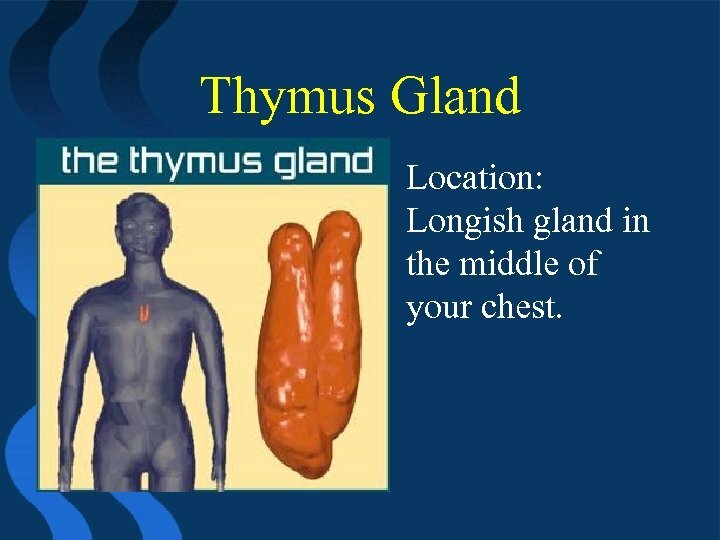 Thymus Gland • Location: Longish gland in the middle of your chest. 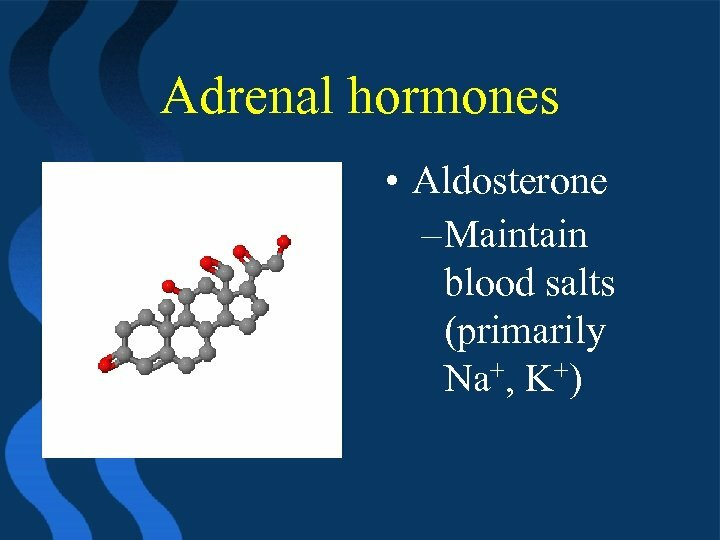 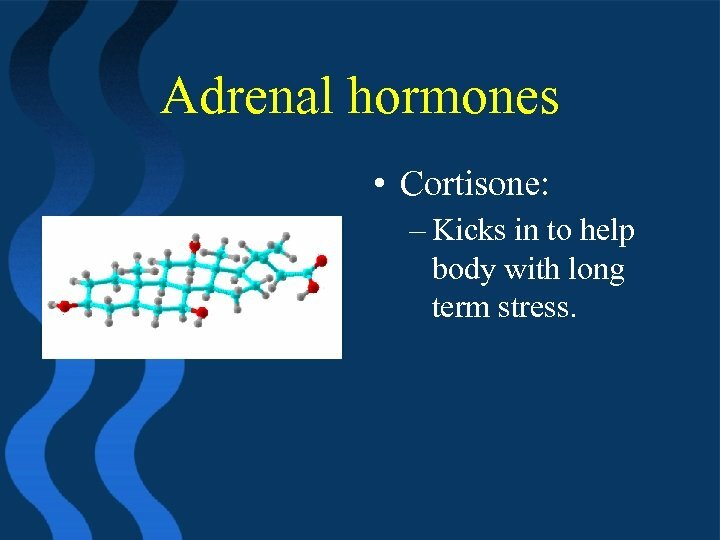 Adrenal hormones • Cortisone: – Kicks in to help body with long term stress. 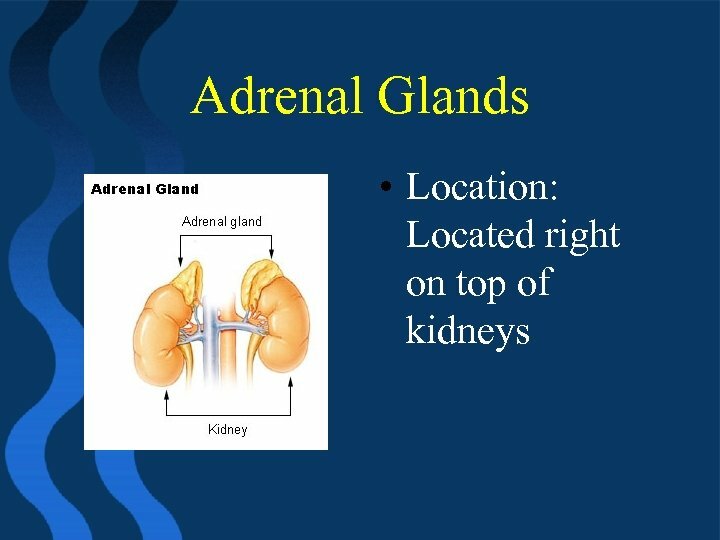 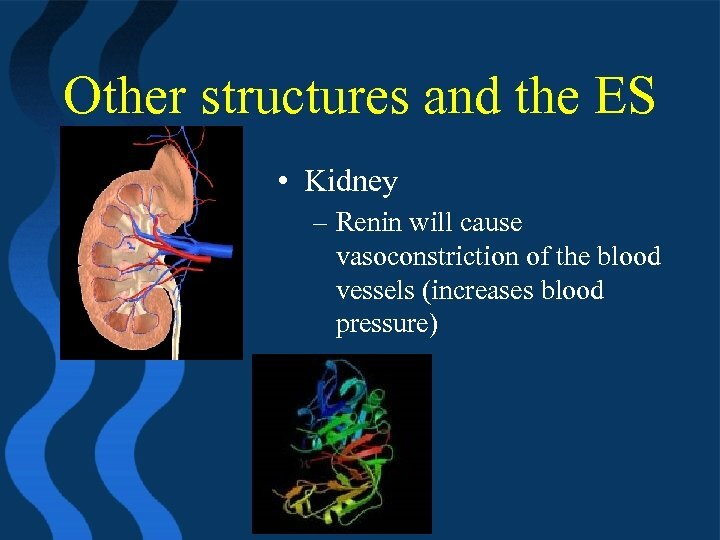 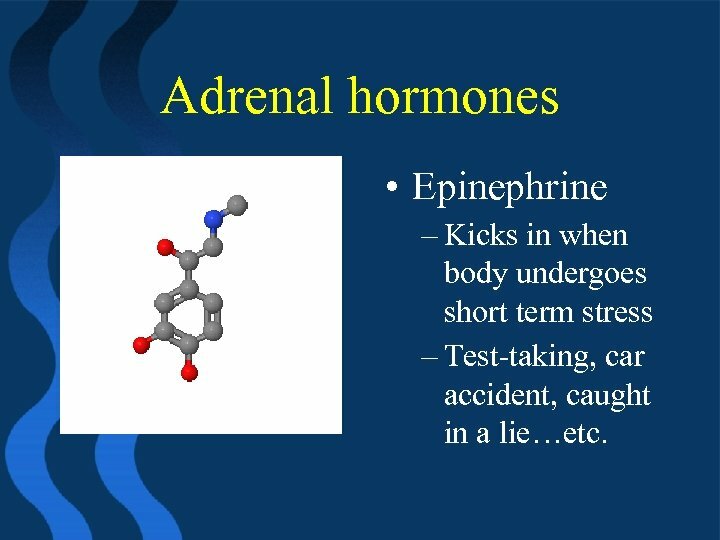 Adrenal hormones • Epinephrine – Kicks in when body undergoes short term stress – Test-taking, car accident, caught in a lie…etc. 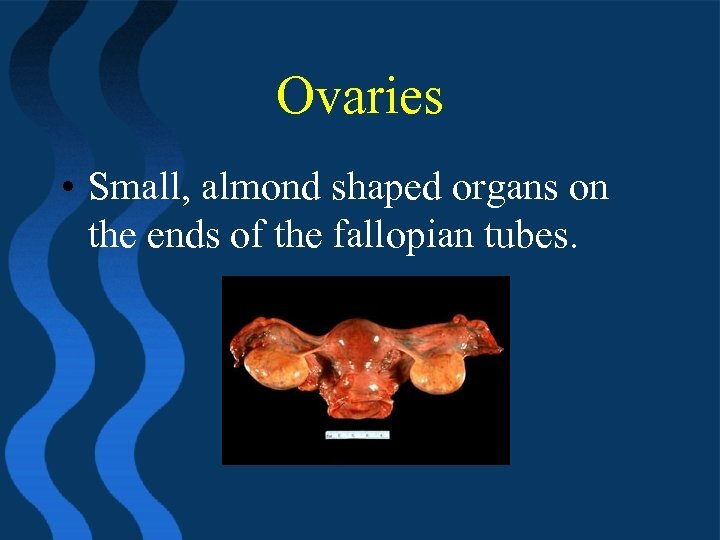 Ovaries • Small, almond shaped organs on the ends of the fallopian tubes.